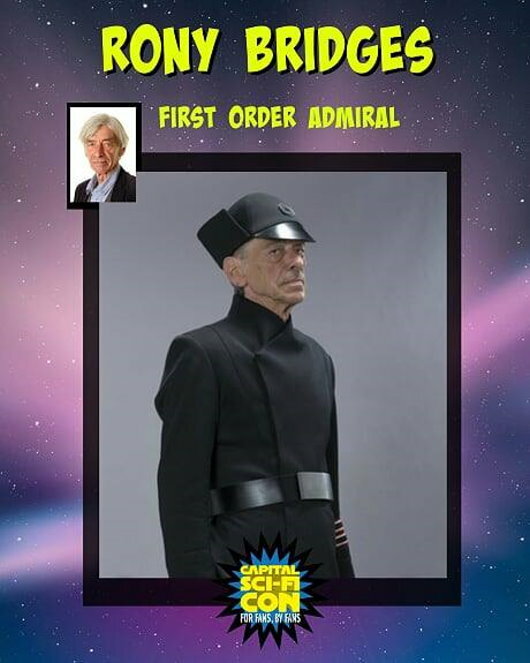 Capital Sci-Fi Con takes place at the Edinburgh Corn Exchange on 15th, 16th, 17th February 2019 and joining the event is an actor from the sequel trilogy. We are really pleased to announce our next guest for Capital Sci fi Con 2019! Rony has appeared in many Films and TV dramas over the last 15 years. He took the role of an Admiral in Star Wars: The Force Awakens where he is accompanying Captain Phasma played by Gwendoline Christie during the speech by General Hux. He also played the character Magnus in Valhalla Rising where he came to a deathly ending killed off by Mads Mikkelsen. Rony also recently appeared in the American hit TV series Outlander as a Clan Chief. 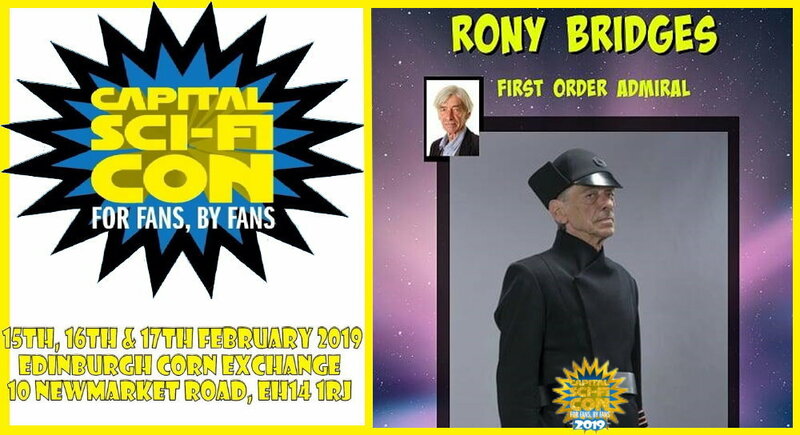 Rony is joined by DJ Elliot, comic guest Nick Brokenshire and guests Arie Dekker, Katie Purvis, Angus MacInnes, Jimmy Vee, Annabelle Davis, Mike Quinn, Warwick Davis, Jerome Blake, Chris Parsons, Kiran Shah, Katy Kartwheel, Aidan Cook and Lewis Macleod. Fantha Tracks are there covering the show where myself and fellow Fantha Tracker Andy Lyth are stage hosts for the weekend, so be sure to say hi when you see us on the show floor.